Just as the swingometer has come to characterise televised election coverage, the election map has become synonymous with online coverage. From the BBC and ITV to the Independent, Times and Guardian, everyone had their red, blue and orange pixels at the ready. The more adventurous integrated swingometers into their maps, included calculators and search fields. The Telegraph’s was powerful; the Guardian’s integrated well with third-party tools such as The Straight Choice and Democracy Club. Sky went for style, with a handful of visualisations from poll results and timelines to historical results to how the House will fill up. But across the newspapers and broadcasters this was the same as in previous elections, only better and more widespread. News websites were riddled with blogs, liveblogs, and more blogs, with CoverItLive used widely. Journalists seem more comfortable with the rough nature of blogging now, which suits the patchiness of election coverage well. User comments were also much better integrated than in the past, while many included the ability to share on Twitter or Facebook. Twitter itself was a natural feature in many places, done without fuss. The Sun featured a widget on their homepage; most others promoted specific election and correspondent feeds somewhere. The Mirror’s morning-after angle predictably looked at how the celebrities tweeted the election. And for all the trumpeting that this was turning out to be a TV election rather than a new media election, Twitter and Facebook played important roles as complements to the television coverage, forming part of the reaction measured by ITV; being drawn upon for questions on Channel 4 news; occasionally driving or puncturing the news agenda, as with #nickcleggsfault. It sometimes felt as if the print media were being cut out of the conversation. We’re now at a stage where experiments have been completed, problems solved, and online video is normal. The BBC live streamed their coverage onto their at-a-glance live coverage; as did ITV. The Mirror embedded video reports on its homepage; The Guardian had its own video but also embedded BBC coverage; The Sun embedded live Sky coverage. And Sky itself had a gallery of video highlights. What was perhaps most surprising is that the election didn’t have a ‘YouTube moment’ – or perhaps it did, but I missed it. 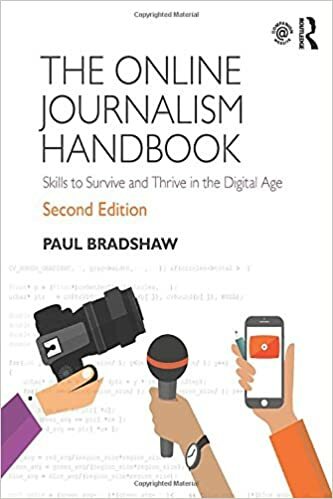 Media organisations had had years to polish up their skills on all the above, and the result was professional, successful, and useful. Unlike previous elections, there seemed little to get really excited about, however. 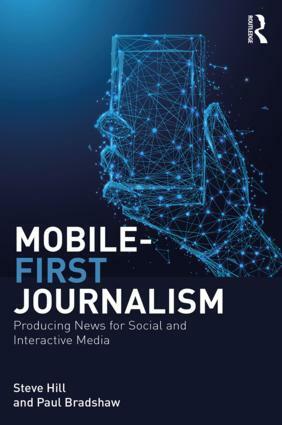 One thing that was apparent was how news organisations appeared to be softening in their attitudes to the rest of the web: embedding video from and linking to competitors; pulling feeds from civic websites; working with users. Some things did catch my eye, though. ITV’s integration of Facebook into its election page looked particularly interesting, allowing users to watch online and chat online, rather than having the TV on. The Times’ last-minute election chartporn showed just how far visualisation could go if pushed. And The Guardian’s #ukvote experiment and how others used its politics API showed where collaboration could be taken. The most fascinating experiments came from outside of the mainstream media: DemocracyClub and YourNextMP did a fantastic job in mobilising people to identify and interrogate their candidates. Vote for a Change calculated if your vote could contribute to a hung parliament; My Gay Vote showed how parties had voted on LGBT issues; PoliticsPosters gave you a customised window poster based on your postcode; Election Champion crowdsourced where parties were spending money on billboards; and Vote Power Index highlighted the weaknesses of our voting system by telling you how much your vote was actually worth. Hyperlocal blogs came to the fore. And while most people overlooked the council elections, Open Election Data sought to make those more transparent. In fact the biggest missed opportunity was the council elections. Did anything catch your eye particularly about election coverage online? 2010 UK digital election timeline on Dipity. Pingback: Where can I find free quilting patterns? | The Quilting Blocks Patterns Daily Tips.